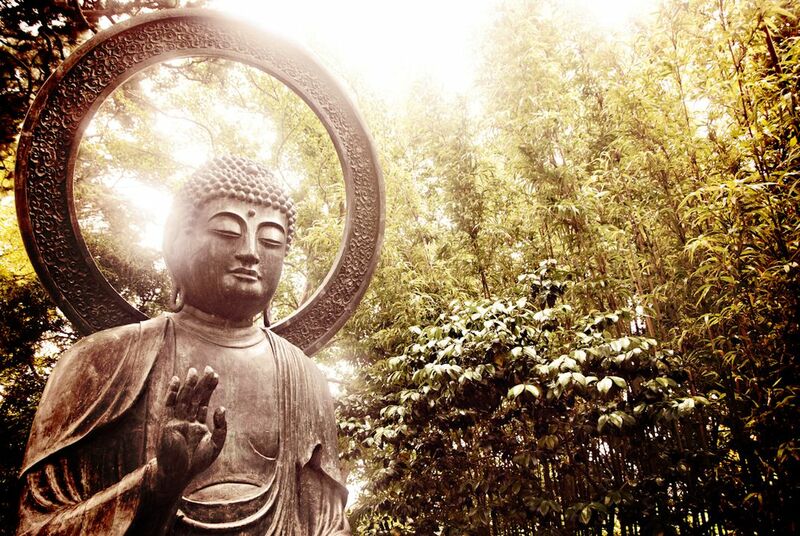 Buddha and bamboo. A world together and a world apart. Taken in San Francisco, California.